Parent representatives were doing some garden maintenance today and we noticed the radishes were ready now and wouldn’t wait until our next meeting to be plucked from the earth. 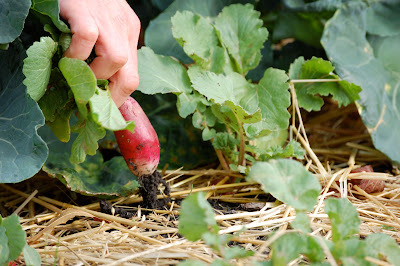 Our Green LIONS Garden Group meets two times a month and sometimes the timing for harvesting doesn’t work out perfectly. We will happily store these for the next week for the students to sample. We left a few smaller ones to grow a little longer and to be pulled up by the students. 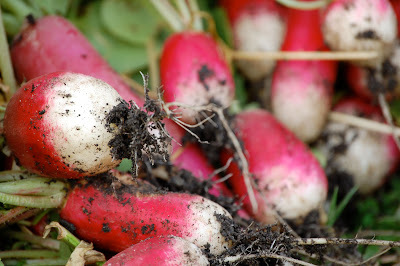 Large radishes that are ready can get fiery hot in flavor if left too long in the earth, can split and just not taste too great. 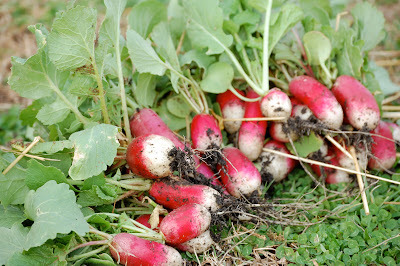 These radishes wouldn’t wait, but oh how pretty they are! Yor right they are pretty,but do you know that you can eat the leaves!The radishs are good too.The leaves are a bit tangey and they have little spurs too.